A Facebook user has posted some images that reveals the blasted views of LYF Water-1 Smartphone and His Injured Hand. This could be a matter of concern to users of LYF Water-1 Smartphone. 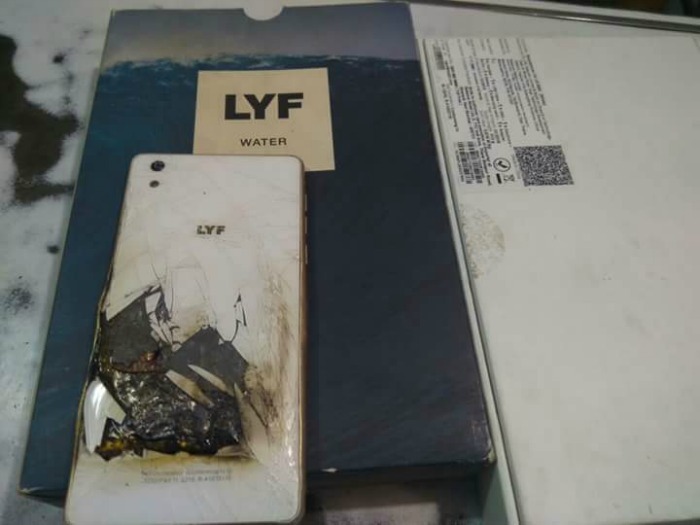 The Facebook page, Gedi Route Jammu posted that a Jio LYF Water-1 phone exploded while the user was using it. 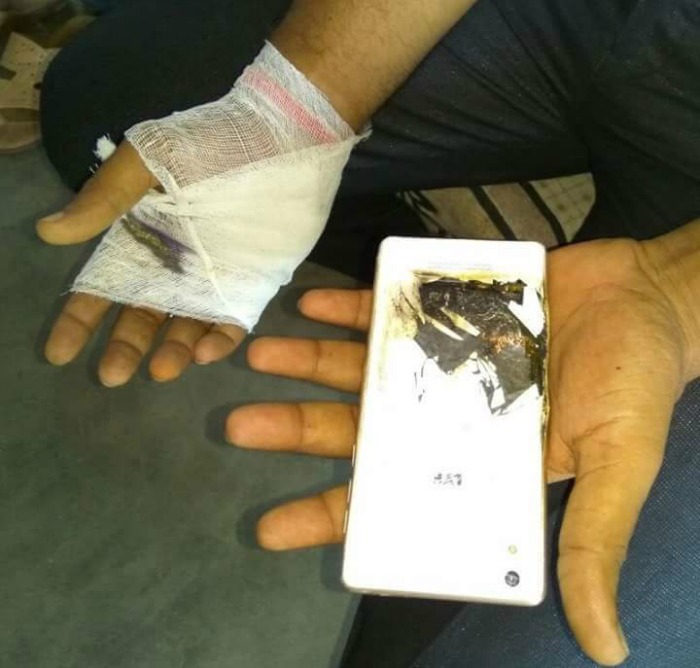 The user was said that he was browsing Facebook on his LYF Water-1, and then the device suddenly started heating and in few moments it exploded in his hands and he got burn, now he is being treated for his injuries on his hand. The reason for explosion of the Smartphone is still unknown.